ARE YOU READY for some heavy metal, roof skimming, tarmac pounding 747 action? 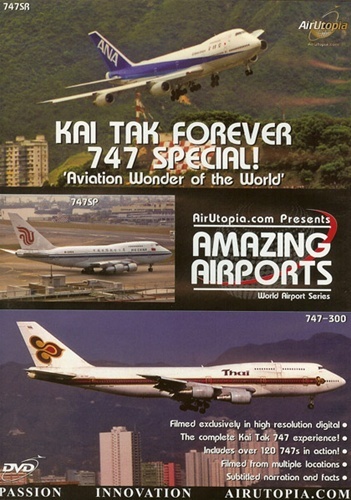 Only AirUtopia can combine the greatest airport of all time with one of the greatest commercial aircraft to ever fly to create what might be the best Kai Tak DVD of all time! See why Kai Tak will live forever in the hearts and minds of aviation fans around the world. Welcome back to Kai Tak! A complete Kai Tak 747 experience! Over 120 747s in action! 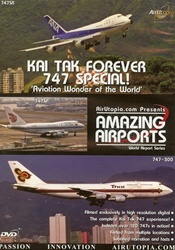 The complete Kai Tak 747 experience!